Nice oil burner with rustic owl shaped. This model consists of two pieces, one is the base where the candle and oil is placed, and the other is a top. The set is a fun form of wise owl. Ideal to start in aromatherapy. Made of porcelain, painted and varnished. 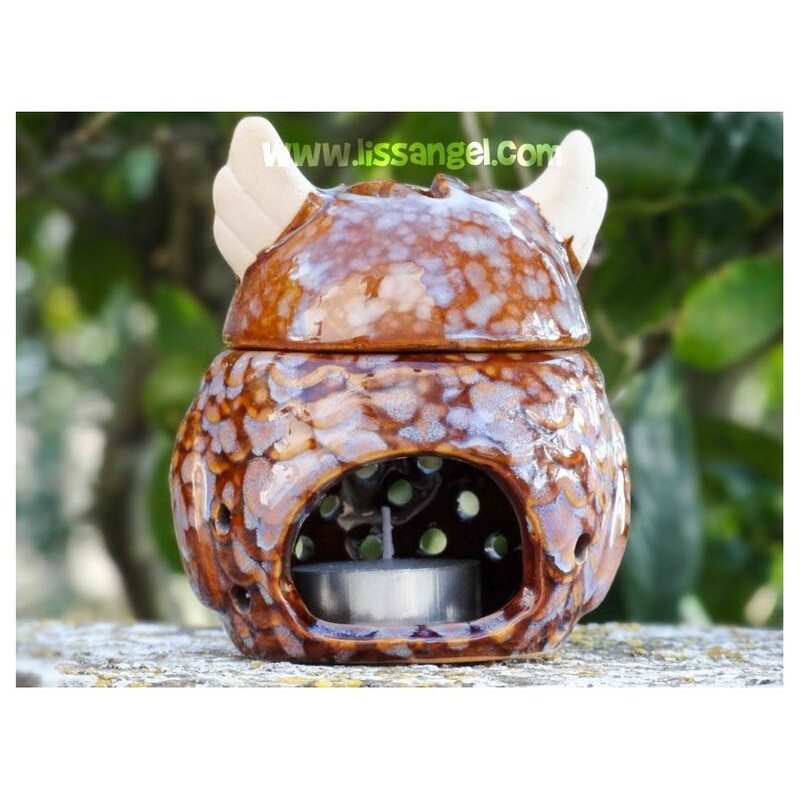 We give you a candle with the purchase of the burner. Take a look at the "Accessories", to choose the fragrances you like. - Use only specific essential oils to burn, any other product unfit could give off fumes harmful to people. The ones that we offer you in the tab "Accessories" are suitable for this purpose. - Place the burner on a flat and firm surface, away from any other object that could be ignited. - Make sure that the burner is out of the reach of children and / or pets. - Pour the required amount of oil into the top of the burner. - Place a candle for burners (candles with aluminum cup) at the base of the burner. - In a few seconds, the oil will begin to evaporate into the environment and release its fragrance. - Check from time to time if oil remains and replace if you wish. Turn off the candle when you no longer want to use it. The candle will be consumed until exhausted in case of not going out.